Drip… drip… drip… A dripping faucet, in addition to being annoying, can be disastrous for your home’s water bill. Every drip is more water literally down the drain! Why do faucets drip, and what can you do to prevent it? There are a few reasons why a faucet would drip. The first is fairly obvious, but a lot of people may miss it. When your faucet starts dripping, always make sure you turned the water off all the way! Sometimes, the handles of your faucet may get worn out and require slightly more force to turn off all the way. If your faucet still leaks and you are sure you have shut it off all the way, that means one of its parts has worn away. There are a variety of parts that can fail and cause leaks. So, now you know where the dripping comes from. How do you fix it, and why should you do it as soon as possible? 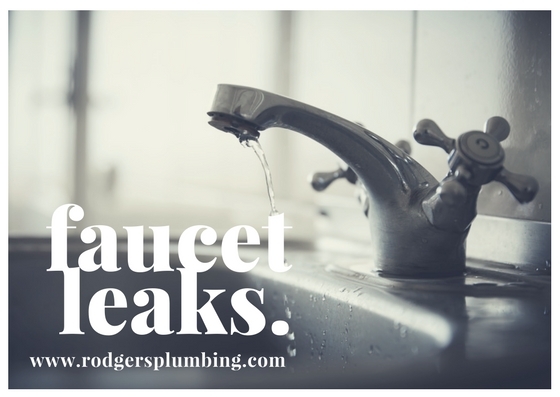 The best way to fix a leaking faucet is to call a plumber. They have the know-how and expertise to diagnose and fix the problem, and they know which parts are necessary to do the repair. You can also attempt to fix it yourself, but this can be challenging and poses its own problems, so consider why you want to fix it yourself and weigh the risks out. If your faucet drips 20 times per minute, every day 28,800 drips go down the drain, and you front the bill! If you are tired of throwing money away on your leaky faucet, call Rodger’s plumbing at (972) 931-1021! We have all the tools necessary to fix your leaky situation.